Explore a fresh and timely interpretation of Jesus’ most popular teaching parables. Jesus knew how to tell a story. He knew that in order to get his message across he needed to relate to the people who gathered to listen—first century Jews—who lived in a very different world than the one in which we live today. In Short Stories by Jesus, author Amy-Jill Levine takes you back in time and explains how original audiences understood Jesus’ parables. You’ll learn how new interpretations of the parables continue to challenge and provoke contemporary readers two thousand years later. In addition to the book, a Participant Guide, Leader Guide, and DVD are available for this six-week study. 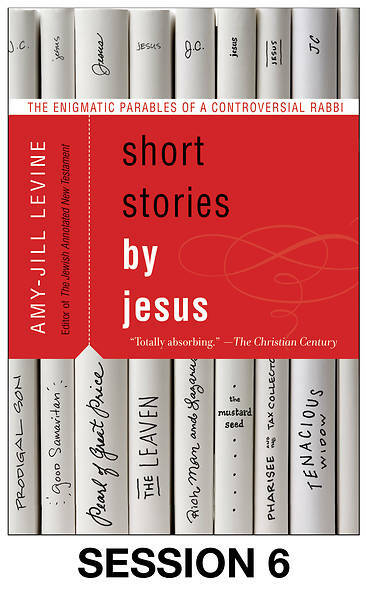 The six-session DVD features Amy-Jill Levine offering a fresh, timely reinterpretation of Jesus’ narratives. The video segments are approximately 10–12 minutes each (with closed captioning) and, when combined with the six book chapters, make an ideal six-week group study. Jesus knew how to tell a story. He knew that in order to get his message across he needed to relate to the people who gathered to listen—first century Jews—who lived in a very different world than the one in which we live today. In Short Stories by Jesus, author Amy-Jill Levine takes you back in time and explains how original audiences understood Jesus’ parables. 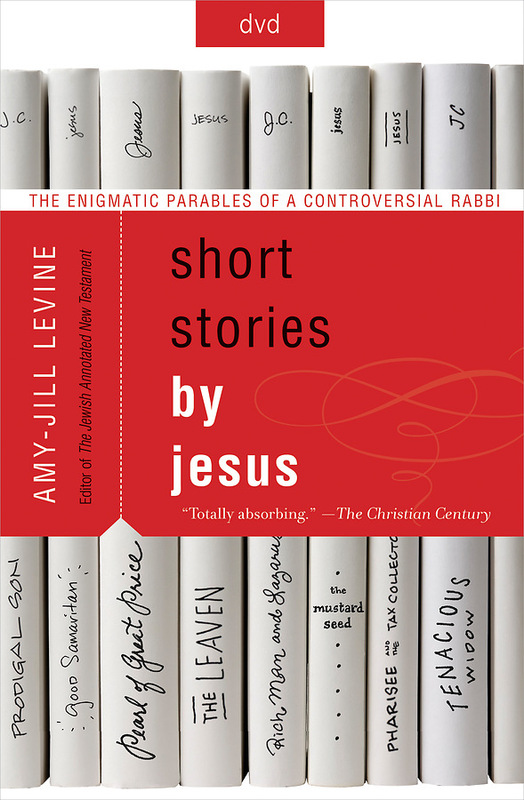 You’ll learn how new interpretations of the parables continue to challenge and provoke contemporary readers two thousand years later. In this video session, titled Lost Sheep, Lost Coin, Lost Son, Levine looks closely at three parables: the Parable of the Lost Sheep, the Parable of the Lost Coin, and the Parable of the Lost Son (also known as the Parable of the Prodigal Son). She lifts up the parables’ emphases on counting to show how we might regard each other and pay attention to who counts. Instructions: To stream a purchased video, login with your cokesbury.com user account, click on My Cokesbury.com, and select Downloads/Subscriptions. In this video session, titled The Good Samaritan, Levine discusses common readings of the Parable of the Good Samaritan. She notes that attention to historical context reveals a more radical interpretation than is typically understood. In this video session, titled The Pearl of Great Price, Levine discusses the brief parable of the Pearl of Great Price. When we discover something of great value, to what lengths will we go to keep it? In this video session, titled The Mustard Seed, Levine explores the parable of the Mustard Seed with questions of size and significance. She unpacks the parable’s challenge and finds that sometimes a plant may flourish simply by being left alone. In this video session, titled The Laborers in the Vineyard, Levine considers the ethics of employment and the importance of workers advocating for one another. The parable of the Laborers in the Vineyard raises questions of who deserves a living wage. In this video session, titled The Widow and the Judge, Levine looks closely at stereotypes of widows and judges in antiquity and today. Through the parable, she considers such issues as the difference between justice and vengeance, and whether violence is ever justified.